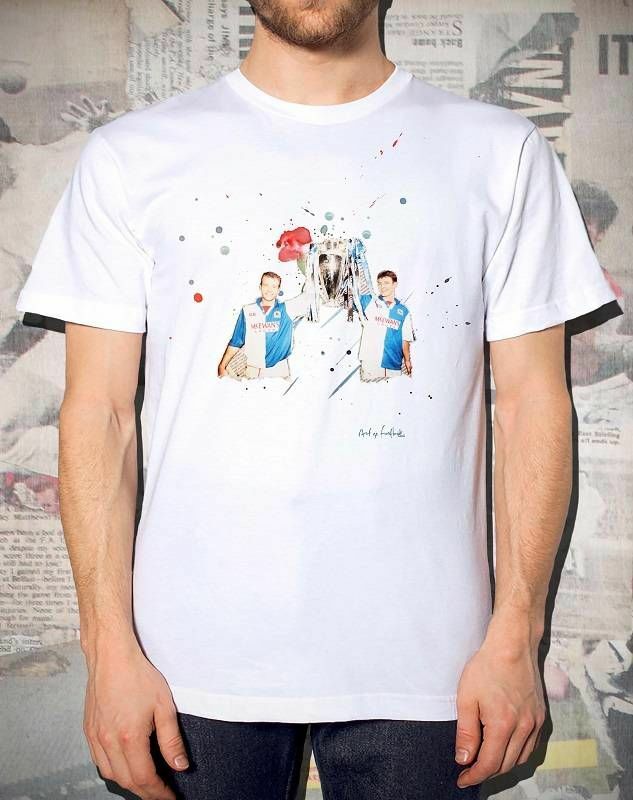 It’s been 20 years since Alan Shearer and Chris Sutton lead Blackburn Rovers to win the Premier League, and this Champions – Blackburn Rovers Print makes a fantastic gift to perpetuate this fantastic achievement. Jack Walker’s faith was repaid after he had paid record breaking transfer fees for both Shearer and Sutton, with them scoring over 50 goals between them during the the 94/95 Premier League Season. The print makes a fantastic gift for any true Rovers fan. If you decide to choose our framed option the print will arrive in a quality black wooden frame which is styrene glazed for safety.